Coping with loss is never easy. Some are completely defeated by the death of a loved one, choosing to retreat into isolation. Others prefer to reflect, celebrate the life that was lived, and play on. Saxophonist Charles Davis is part of the latter group. Davis lost his wifeLori Samet-Davisin April of 2012, but he didn't let that loss break his will to create. This album, a straight ahead display of artistic expression and affection, is given up in tribute to her. While Davis could be forgiven if he chose to take to maudlin music making in this situation, he never goes that route. 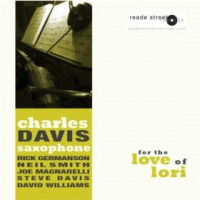 For The Love Of Lori is something of an arranged blowing session, not a jazz requiem. A sturdy and highly capable three-horn front linethe leader, trumpeter Joe Magnarelli, and trombonist Steve Davistakes center stage time and again, joining forces to flesh out heads and standing apart for back-to-back-to-back solo spots. These three men complement each other and provide balance throughout. As a soloist, Charles Davis tends to speak in sentences, not streams of thought. His thoughtful ideas are filled with punctuation and pauses, and his vast experience and taste informs his every statement. That's clear from the beginning, but it becomes more obvious as the album plays on. He's in the zone on his all-too-short spot on "Into The Himalayas," he bares his soul on the title track, and he glides along atop a swinging foundation during "Cedar's Blues." The inclusion of songs like "What'll I Do" and "I'll Be Seeing You" might reference sentimentality, but Davis doesn't shape them that way. "I'll Be Seeing You" becomes a case of casual swing, far more upbeat than usual, and "What'll I Do" seems to be about acceptance, not questioning. Only Davis can know if he's come to terms with his wife's passing, but the music seems to indicate that he has. His sage saxophone work speaks volumes about life, love, loss, and the healing power of music. Track Listing: Begues; What'll I Do? ; Juliano; KD; For The Love Of Lori; Into Himalayas; Cedar's Blues; I'll Be Seeing You. 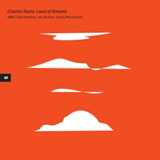 Personnel: Charles Davis: saxophone; Steve Davis: trombone; Rick Germanson: piano; David Williams: bass; Joe Magnarelli: trumpet; Neil Smith: drums.